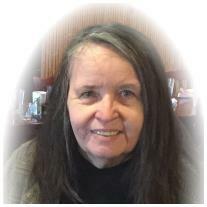 Mrs. Fay Marie Kortes, age 71, passed away March 2, 2018 at her residence. Fay was born in Detroit on May 3, 1946 the loving daughter of the late August and Hazel Oldani. Survivors include her husband, James Kortes Sr, daughter, Annessa Marie (husband Dr David) Scott of Naples, Fl., son James (Nino) (wife Heather Irene) Kortes II, dear grandmother (Nana) to Isabella Theresa and James III. The family will be receiving friends from 2:00 p.m. to 9:00 p.m., with a 6:00 p.m. Rosary on Sunday, March 4, 2018, at Bagnasco & Calcaterra Funeral Home, 25800 Harper Avenue, Saint Clair Shores. Mass will be held at 10:00 a.m. Monday, March 5th at Assumption Grotto Church 13770 Gratiot Ave ( 6 mile & Gratiot) she will lie Repose from 9:30 a.m. to 10:00 a.m. at the church. Burial will be at White Chapel Cemetery following Mass.